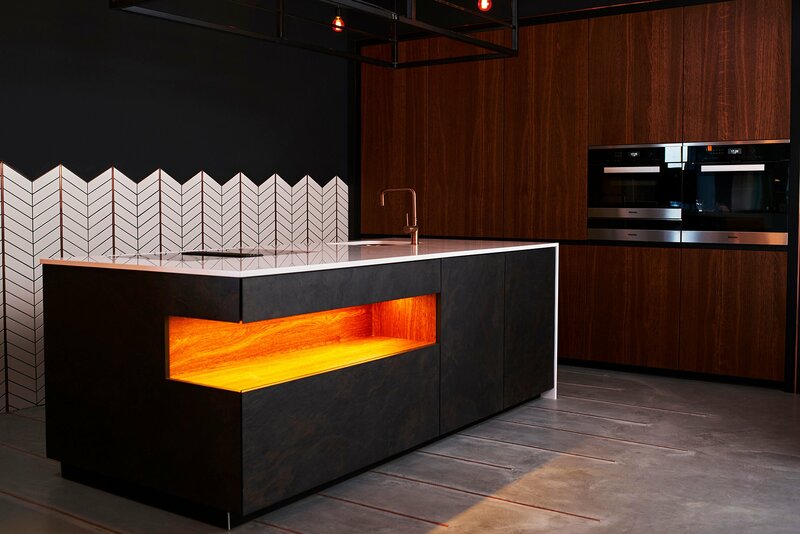 Driven by a passion for cutting edge, functional design, the Brighton Kitchen Company are a bespoke kitchen specialist with a love for luxury design. We have a particularly strong eye for industrial kitchen styles that work in the home. We are inquisitive. We explore. We invent. We make bespoke kitchens our clients love. We understand the understated look industrial kitchens are trying to portray, and we understand the appeal of a kitchen built on functional excellence. That’s why all of our bespoke industrial-themed kitchens boast a discreet aesthetic look and function perfectly. We know how to make edgy and cool kitchen designs blend effortlessly into the home, whether you have a modern home or a period property. We consider everything carefully, from sleek, understated cabinetry, to unusual flooring finishes, industrial-themed lighting features and cutting-edge appliances. We put our heart and soul into every kitchen we design and make sure all of the fine details blend in with the overall design of your home. We work with you closely to make sure everything you wish for in your dream kitchen is incorporated into the design. Our expert design team will undertake a thorough design consultation with you and make sure you are 100 per cent happy every step of the way. We collaborate with our clients, rather than instruct, and we have the expertise to offer guidance and inspiration if you don’t yet have a clear idea about how you would like your new kitchen to look. 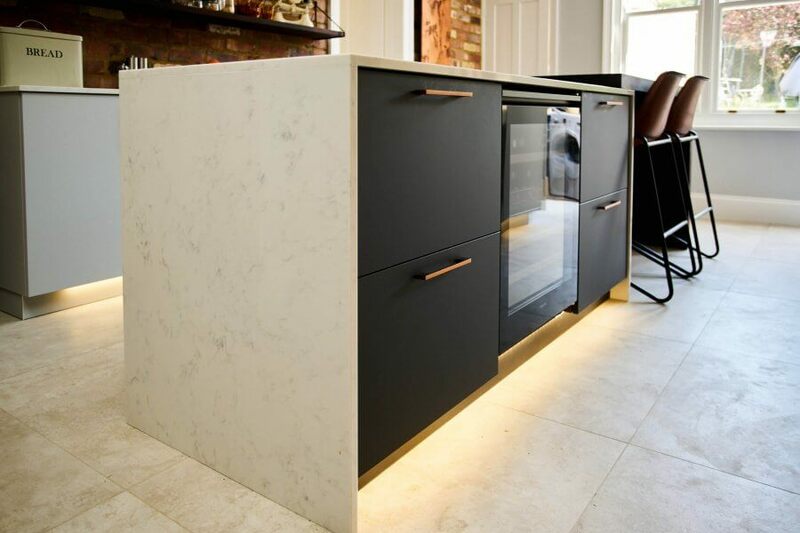 Whether you have a clear vision of the kitchen you would like or simply have a vague idea, we will create a bespoke kitchen design with you at the heart of the process. Our personal design service is based on gaining a full understanding of your needs. We can make all of your kitchen dreams come true with a bespoke kitchen design that will look every bit as good tomorrow as it does today. Why work with us? We don’t do average. We deliver inspirational results on time with meticulous installation. Best of all, we design kitchens that stand out from the crowd and stand the test of time. We match beauty, elegance and fine form with the ultimate in functionality. At the Brighton Kitchen Company, we understand that details matter. The colour and finish of your kitchen can make all the difference to the overall look. We will help you to identify the colours and finishes that reflect your style preferences and the style of your home. You don’t have to worry, because we are sticklers for getting the finished look just right. We work with a carefully selected and highly skilled, local cabinet maker. Based in Sussex, our cabinet maker is highly experienced in producing kitchen furniture of exceptional quality. Paint finishes are just as important as the construction of the cabinetry itself. We only use quality paints, such as Farrow and Ball, for all of our painted finishes. Industrial themed kitchens are all about practical cooking spaces with a back-to-basics understated feel. Sleek and modern, with a hint of urban styling, the industrial kitchen exudes strong clean lines. Our high gloss finish industrial kitchens are bold, adventurous and bring a smidgeon of glamour to the essentially understated design. 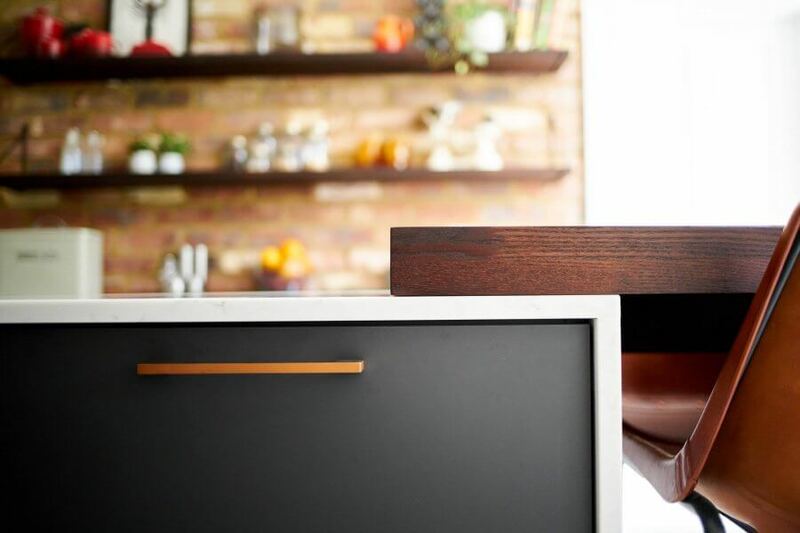 Our super matt finish gives a soft, flat feel to our bespoke cabinetry. Bringing a softness to the industrial themed kitchen works incredibly well. Trust us, we know a thing or two about kitchens. Our super matt finish goes one better than an ordinary matt finish. In either muted colours to go with the contemporary look of your industrial kitchen, or in a deep colour that draws attention to the space, our Super Matt Industrial kitchens are the ultimate in understated kitchen design. Come and see us at our brand new showroom in the heart of Mid-Sussex and get your kitchen journey started. Our expert design team are ready to welcome you and answer any questions you may have. Enjoy a coffee with us and browse our showcase of various luxury kitchen styles. We know you will be inspired by our bespoke kitchen designs and our range of luxury contemporary kitchens.